Last May (2014), I got my first taste of Odessa, Florida's Big Storm Brewing, on an appearance on ByTheGlassShow. 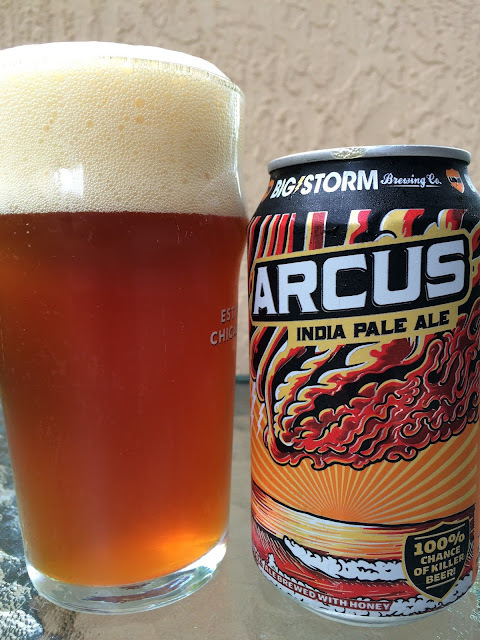 Big Storm recently started canning a few of their beers including this can of Arcus India Pale Ale I picked up locally in Miami yesterday. 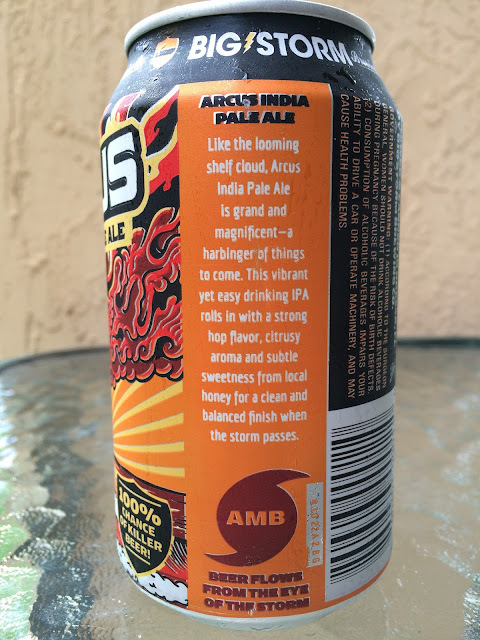 First, the brewery wasted NO opportunity to share information with you on the can! It is packed with art, stats, slogans, food pairings and stories, mostly revolving around the hurricane theme the brewery has adopted. "100% Chance of Killer Beer!" 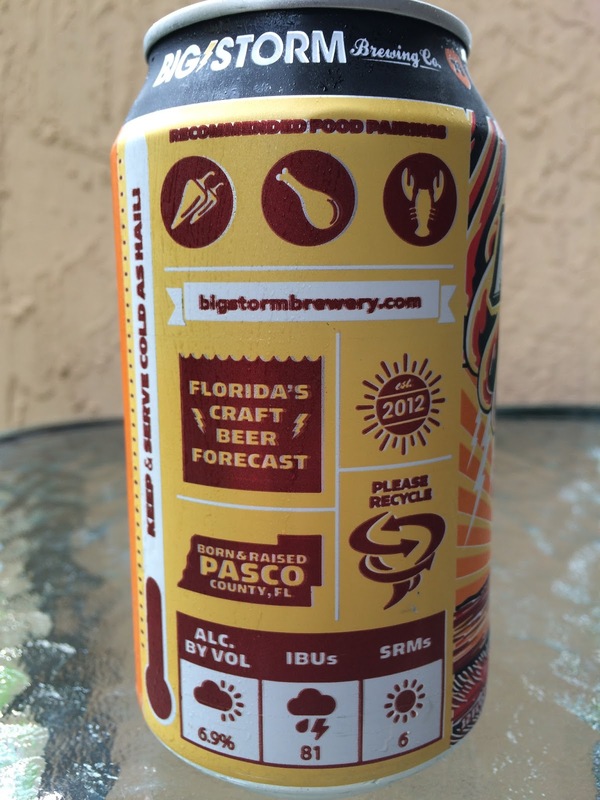 and "Beer Flows from the Eye of the Storm" and the beer's stats listed as "Florida's Craft Beer Forecast." 6.9% alcohol. 81 IBU. Oh yeah, and this beer is brewed with Florida honey, "for a clean and balanced finish when the storm passes." Huge head! Citrus orange sweet aroma. Big fruity orange and tangerine flavors to start. Lots of citrus, zesty, hoppy, bitterness follows, lightly astringent. Some malty sweetness comes at the finish, which I suppose is the honey. Sweet, tangy, bitter, zesty all in one. Not bad.